I can think of a hundred times when I’ve had a joint and wished I could drink my cannabis instead. Parent-teacher conferences, boring baseball games, family reunions. Sure, there’s a ritual to a proper session, and smoking a bowl can be a wonderful experience. But sometimes you need to be inconspicuous, and sometimes you’re in a hurry. Isn’t it wonderful, then, that Cascadia Herbals has created their line of strain-specific cannabis tinctures? Tinctures contain concentrated plants oils, suspended in liquid, and are ingested by mouth. They have been used for centuries as a delivery method for plant medicine of all kinds. Before prohibition, cannabis tinctures could be found on most drug store shelves. Cascadia Herbals has taken up this ancient art and applied it to Oregon’s adult-use cannabis industry. They are the state’s first OLCC-licensed cannabis tincture processor, and they’ve brought a truly distinct product to market. 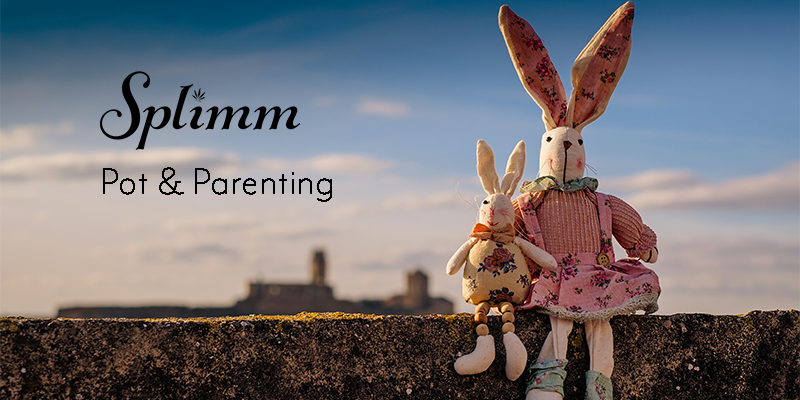 Tinctures integrate easily into a busy lifestyle and can be a great ingestion method for parents. The main appeal of liquid cannabis is how discreet it is. You can consume without attracting unwanted attention, giving you a great option for indoor events and other places where smoking or vaping would not be tolerated. Of course, there aren’t the same associated health risks as smoking, and you don’t have to deal with the mess and odor either. Cascadia Herbals employs meticulous proprietary processes, including ultra-cooled ethanol-based concentration and a house-developed decarboxlyation and terpene retention system. Ethanol is a nontoxic solvent believed by many to be the best way to extract cannabis because it produces a cannabinoid- and terpene-rich concentrate with appealing flavor profiles. These tinctures are no exception; they’re quite tasty. The glycerin suspension gives the liquid a nice viscosity that makes it no problem to keep it under your tongue for the time required for sublingual absorption. I’ve used some alcohol-based tinctures that have made the skin inside my mouth feel like it’s on fire. With Cascadia Herbals products, your mouth may tingle, but it won’t burn. They are mildly sweet and full of flavor. 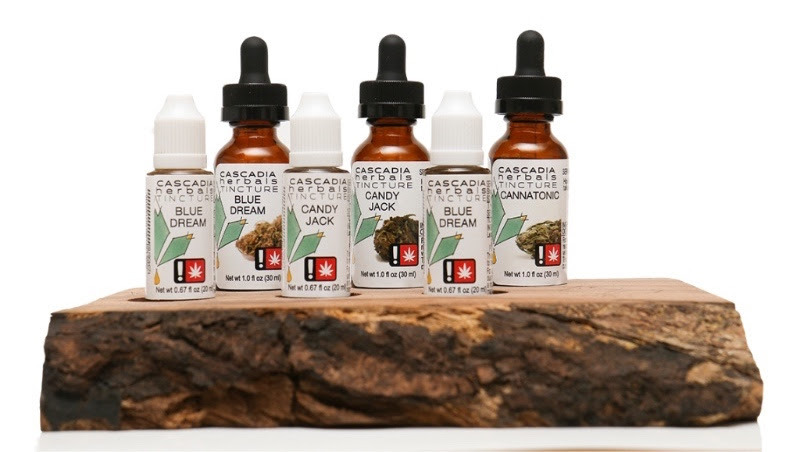 Unlike most tinctures I’ve encountered, Cascadia Herbals products are strain-specific. This allows the consumer to appreciate the subtle differences in effect, taste, and intensity. Their offerings rotate seasonally and include a sativa-leaning hybrid like Vanilla Haze, and indica leaning hybrid like White Widow, and a high CBD strain like Cannatonic. So, not only is it more fun than choosing from the generic sounding indica and sativa, but you can also wait in anticipation for a drop of your favorite strain. Another major advantage to tinctures is that they’re simple to self-titrate. You can find your sweet spot by starting with just a bit and slowly increasing your dose. Used sublingually, activation time is very fast, usually around 15 minutes. This allows you to gauge whether or not you need more without the risk of over-consuming because the effects came on slowly and you got impatient. Cascadia Herbals ensures a standardized strength for all their products, which produces a consistent, predictable effect. They’re also great for microdosing (ingesting very small amounts of cannabis for health and wellness). In general, the high tends to be more clear-headed, less foggy, than the experience of smoking flower. If you prefer, you can mix these tinctures into drinks or foods. The onset time will be longer–because the cannabinoids will be metabolized by the liver rather than absorbed directly into arteries under the tongue. They’re also an easy option for making edibles at home. So versatile! If drinkable cannabis is the future, then tinctures are the key. And Cascadia Herbals is setting the standard for cannabis, liquefied.